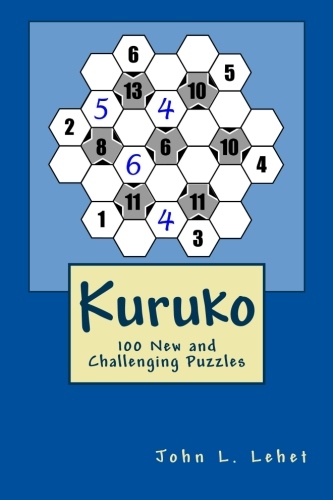 Kuruko is a new Sudoku-like puzzle comprised of 31 hexagon, 7 gray and 24 white. Each gray hexagon is in the center of six white hexagons, three of which point to it. 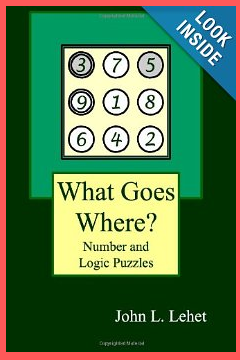 There is a number in each gray hexagon equalling the sum of the numbers in the three white hexagons that point to it. The objective is to fill in all of the empty white hexagons following two simple rules: (1) each gray hexagon is surrounded by the number 1 through 6 once and only once (2) the numbers in the three white points hexagons sum to the number in the gray hexagon.